A fascinating place in the heart of London. If you are lucky and it's sunny out, you should spend as much time as you can. 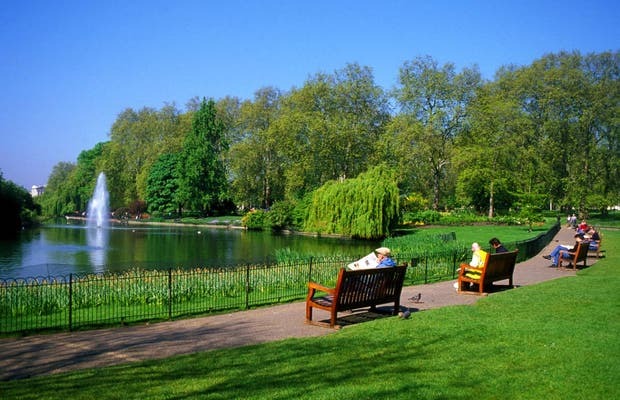 Londoners lay out on the green and enjoy the chance to spend the afternoon there walking, running, cycling, playing soccer, rowing, cycling ... You can do anything in this green paradise. My favourite Park in London, especially in spring.